bends to be passed. Pipe bends of 1,5 x D, changes in the pipe’s cross section, slight deformations or sagging weld seams will be negotiated without any problems. Even pipelines branching off on the sides can be passed safely, without the spring loaded drive arms getting off course or blocked. 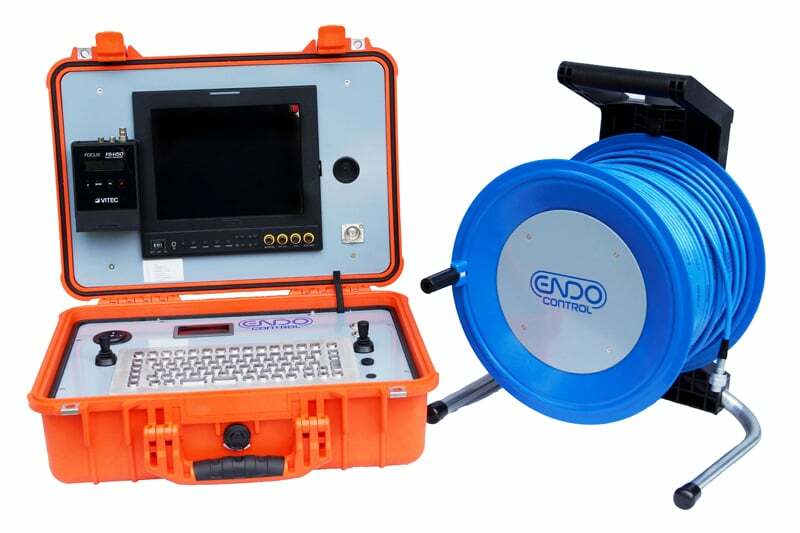 The CRAB-ROBOT consists largely of a drive unit and different video heads, the latter being either permanently fixed in the drive module or easily exchangeable by a plug-in coupling system. Each module is equipped with 6 spring-loaded drive units. 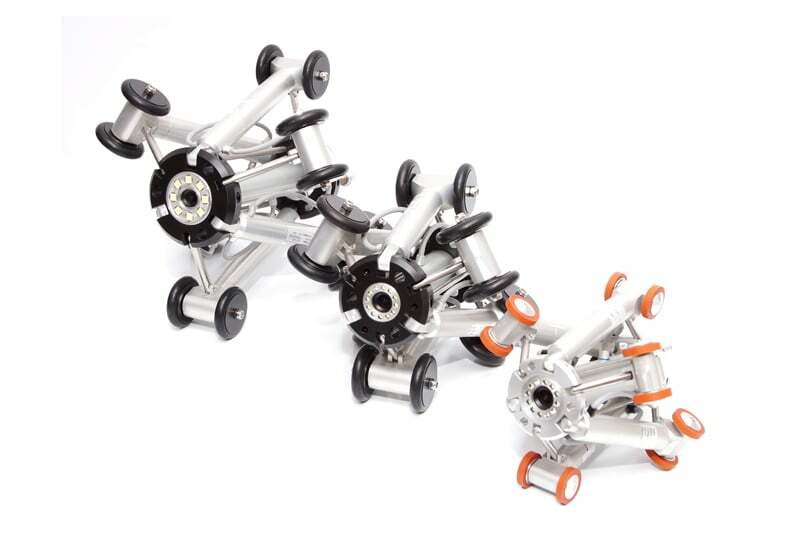 Powerful miniature motors with combined planetary transmissions, 32 radial ball bearings and 12 wheels with a specific rubber coating will ensure maximum traction and thus the safe passage inside the pipelines, even if they have rough or smooth surfaces. The six drive arms which are individually spring-loaded will ensure that the device is precisely located in the centre of the pipe and that uneven surfaces as well as minor changes in the cross section can be automatically negotiated. 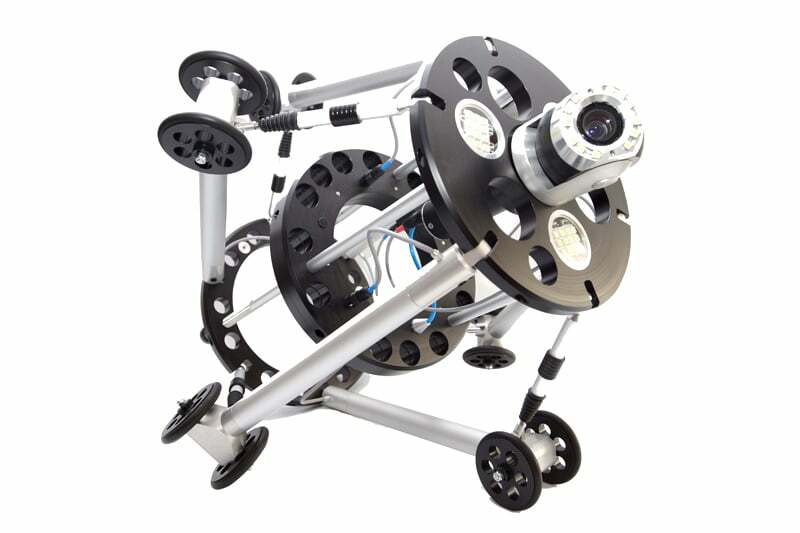 Depending on the actual application, the CRAB-ROBOT can also be equipped with different video heads for direct viewing or with Pan&Tilt camera modules. 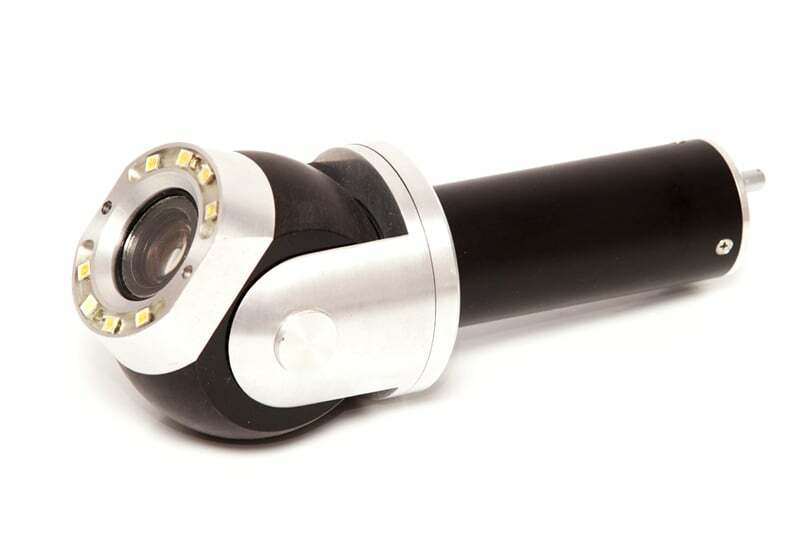 A high-resolution 1/3″ CCD miniature colour sensor (optionally with fixed or remote focus) will ensure the transmission of sharp video images in superior colour fidelity.